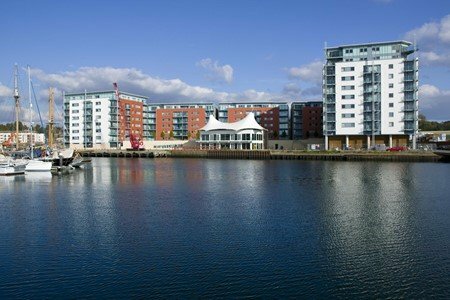 Persimmon Homes, one of the largest house builders in the UK, was tasked with creating a landmark housing development overlooking the popular Orwell Quay in Ipswich. 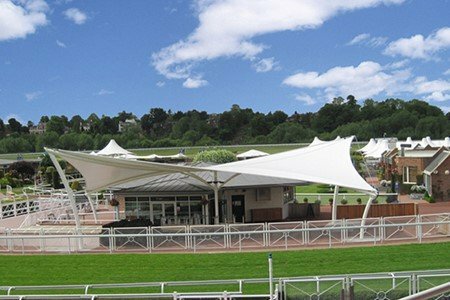 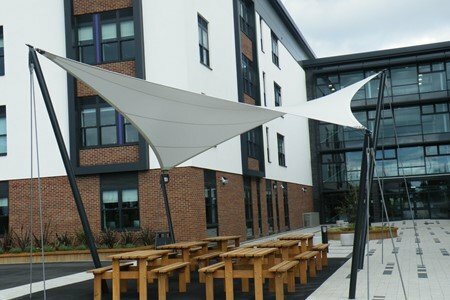 However, in order to obtain planning permission for the development, Persimmon Homes had to include a proposal for an iconic landmark tensile fabric structure. 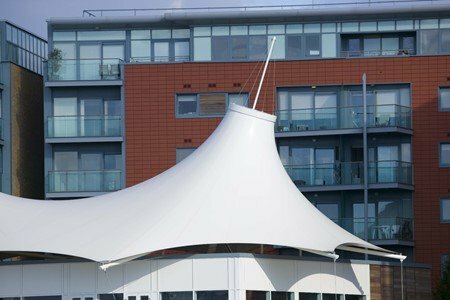 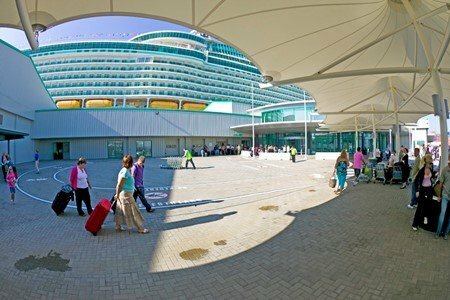 The complex tensile fabric structure, measuring 27m x 17m is supported by a powder-coated steel framework – fully engineered for extreme coastal conditions. 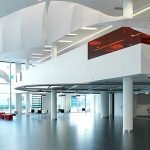 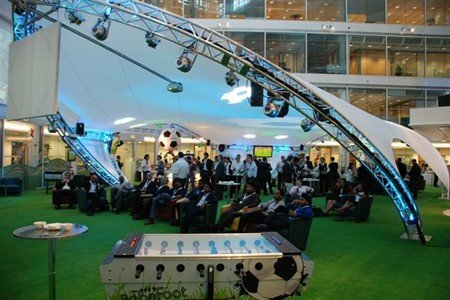 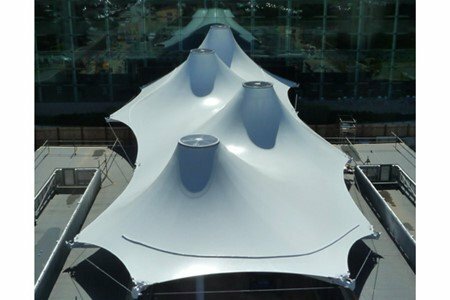 To facilitate the irregular form of the fabric canopy design, Fabric Architecture undertook the structural design of the entire building. 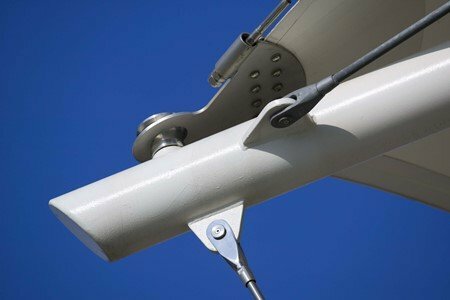 Anchor points were installed in the roof and around the building and tie rods reinforced the structure with connections to first floor balconies and ground level. 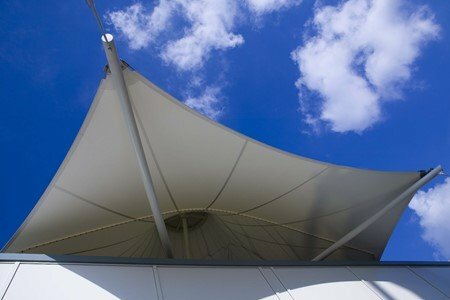 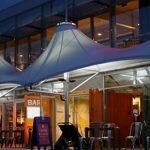 RMA Architects worked with the design team at Fabric Architecture to develop the design into a dramatic asymmetric Double Conic tensile fabric structure. 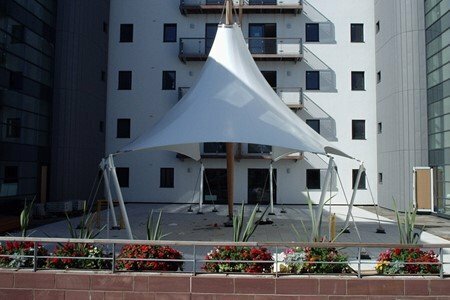 The translucent tensile canopy is mounted on a two-storey, flat-roof building, complementing the modern glass-fronted apartments. 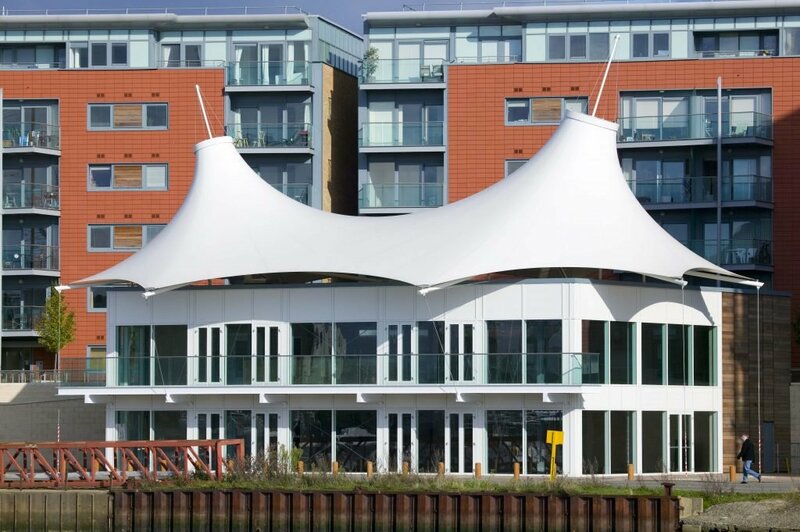 The tensile fabric structure enhances the contemporary architecture with angled masts of different lengths and caps of differing sizes, resulting in a dynamic form.